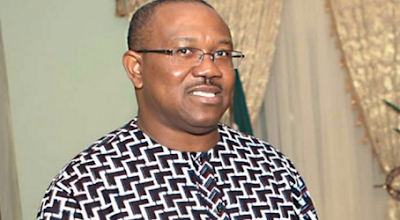 A former Governor of Anambra State, Peter Obi, on Saturday declared that the country had failed as a nation since gaining independence in 1960. Obi lamented the failure of successive governments in the country. The former governor warned that the increasing spate of agitations by various ethnic-nationalities in the country in recent times might get out of control if governments at all levels did not put measures in place that would create employment for jobless youths. He spoke in Abakaliki, the Ebonyi State capital, on Saturday while delivering an anniversary lecture organised by the state government as part of activities to mark the 57th anniversary of the country and Ebonyi State at 21. He said, “Nigeria is a failed country. The country is going backward. Not thinking of the future; that is why there are agitations everywhere. The agitations are just starting. There are millions of jobless youths doing nothing in the country. Most young people have lost their future. The former governor emphasised that overdependence on oil as the mainstay of the nation’s economy was no longer fashionable and tenable. “Oil is destined to finish in the next 30 years. The Federal Allocation Committee is one of the things that make us lazy. Nobody is willing to work except to go to Abuja on a monthly basis to share money. Our reserve is weak. Obi disagreed with the claim of the Federal Government that the country had exited recession citing widespread poverty as the reason.